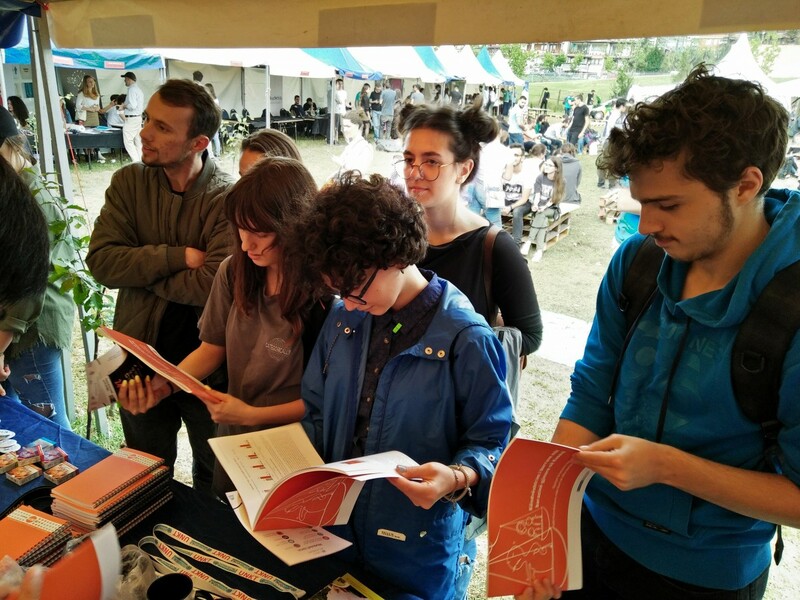 The weekend of the 9th and 10th of June marked the 5th annual DOKU.TECH festival in Pristina. 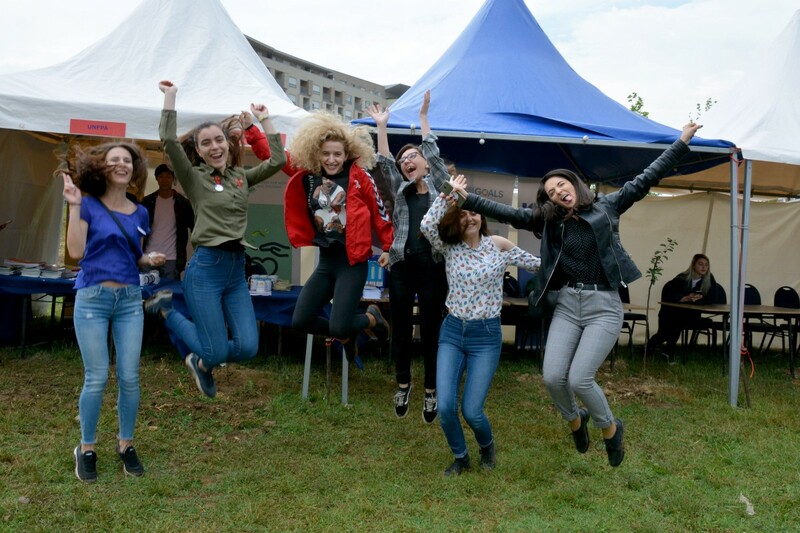 International and local speakers, organizations and event-goers gathered to celebrate technological innovations in Kosovo. Technological developments included Virtual Reality simulations, a smart house model, and a piano powered by water in plastic cups. Inspiring presentations took place throughout the conference, with speakers from Kosovo, Croatia, the United States of America, the United Kingdom, Denmark, and Bosnia. Each speaker had a unique story on their introduction to and involvement in technology. Faybeo’n LaShanna A. Mickens, a DJ from New York, told young attendees: “This is your time to create!” and acknowledged, “To Teach is to learn twice.” Another speaker, named Alex Qin, spoke about the difficulty of entering the technology industry as a female in a male-dominated field. 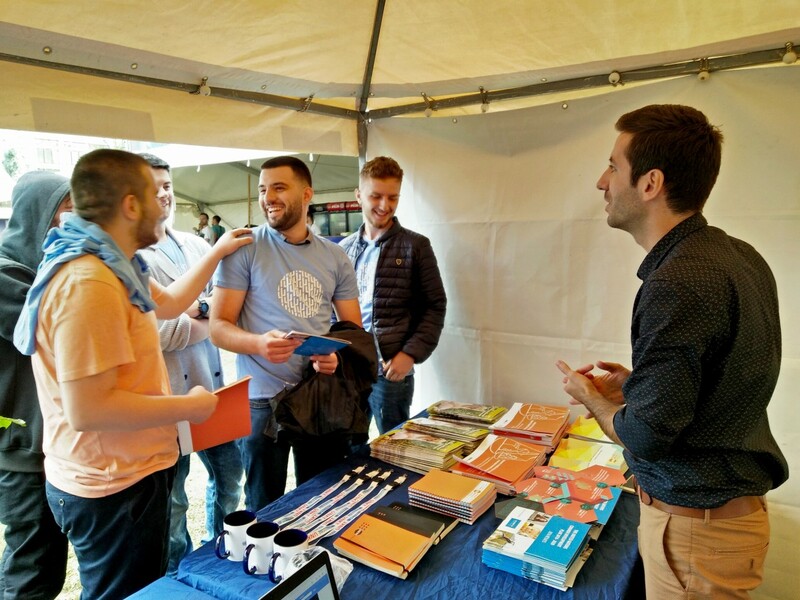 The United Nations Kosovo Team (UNKT), jointly with UNFPA and UNWOMEN supported and attended the event, where we set up a booth with various materials, such as reports and brochures, on our work here in Kosovo. We were thrilled to interact with participants, young and old, local and foreign, of all backgrounds, and speak about Agenda 2030 and Sustainable Development Goals (SDGs), with the particular focus on SDG 3 and 5 pertaining to Empowerment of Women and Girls and Sexual Reproductive Health. 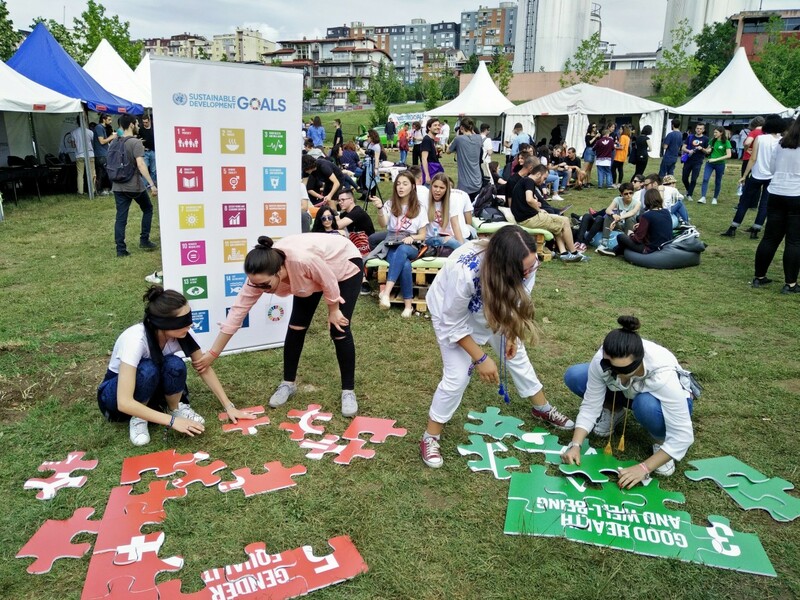 Our work at the festival was focused on Agenda 2030 with the accompanying Sustainable Development Goals (SDGs). The 17 SDGs focus on physical, social, environmental, and political targets for each country to attain by 2030. We spoke to guests about how these goals are currently being implemented throughout Kosovo and distributed supporting materials. Outside of the UNKT event, we had interactive games which integrated SDGs into fun team-building activities. The SDG puzzle was our most popular activity. Teams of two worked together to build a puzzle. While one team member was blindfolded the second team member gave instructions on where to place the pieces to create the complete puzzle. This exemplified the importance of working together on the Sustainable Development Goals to achieve the end target of each Goal. The two puzzles we had focused on SDG 3 “Good Health and Wellbeing” and SDG 5 “Gender Equality” which are two central SDGs that we were promoting at the event. We were thrilled to participate in a conference focused on the future of technology! Thank you to everyone who came and visited our booth! See you next year!